These legs. Ten years ago these legs began to collapse beneath me while skiing at full speed. Nine years ago arthritis in my knees caused so much pain tears streamed down my cheeks when I skied. It was then we knew I could no longer build my life around skiing. So we left everything we loved about the Teton’s and moved into the city. Boise. I resented this place. But it wasn’t the place. It was the season of life I was in. It was just so hard. * But I trusted the process of healing. Or, at the very lease I knew I had no other option than to keep trying to get better. And I am—I am getting better. The progress isn’t visible to the outside eye but it is a feeling. It is having legs that stand beneath me. Knees that don’t hurt. 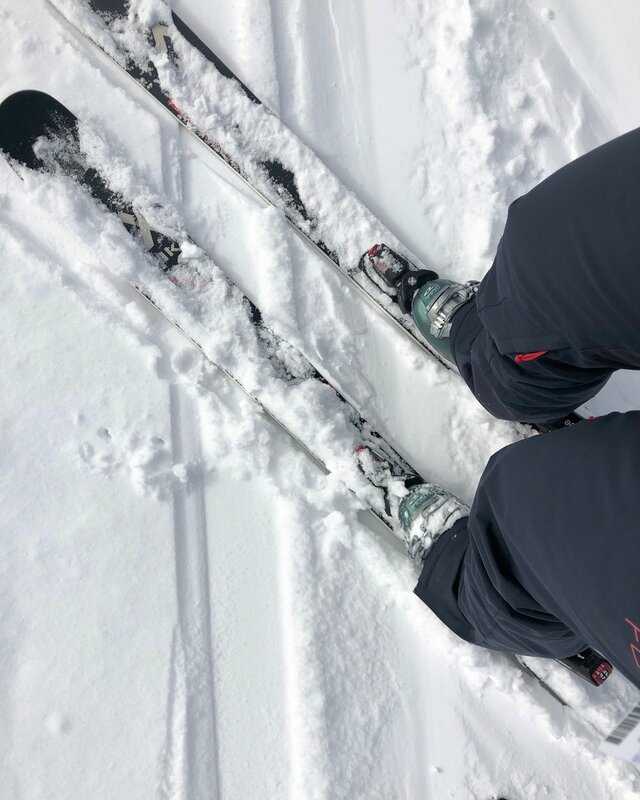 The newfound strength to ski entire runs without stopping to take breaks. Skiing is so many things to me. It is something that makes me feel my healthiest, happiest self and it was for that very reason I moved to the Teton’s in the first place. It feels very full circle for me to be back in a body that allows me to celebrate my hard earned wellness on the slopes. A view of The Grand Teton taken on my flip phone from Grand Targhee Resort circa 2009. *In the summer of 2009 I was diagnosed with Late Disseminated Lyme Disease after seven years of mysterious illness. I immediately began treatment and as I mentioned above it was just so challenging.